The following is an excerpt of my novel, Silence in the Mist. This historical novel with strong romantic elements has a July 7, 2011 release date! His voice slithered into her ear while the hot tip of the dagger pressed against her thigh. “Never,” Françoise said, shaking her head and licking her swollen, blood-encrusted lips. An unpleasant metallic taste filled her mouth and she had to fight to keep from retching. Her eyes fluttered shut but the image of the menacing general was still very much before her, invading her senses, striking terror in her heart, denying her escape. Dear God, she prayed, please deliver me from this evil. A warmth and overwhelming sense of security flooded over her then, as if an angel had wrapped his wings about her. She felt a peace that passed all understanding and it gave her courage. 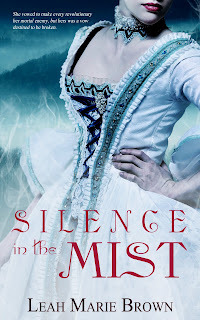 I can't wait for July so I can purchase my copy of "Silence in the Mist"! 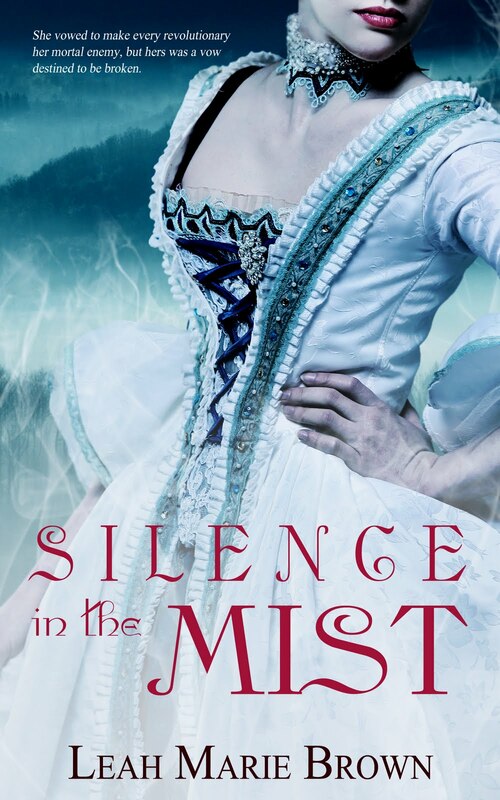 I am already so excited to read Silence in the Mist! This excerpt just makes me outrageously excited. I have followed your blog for two years now and enjoyed all of your posts. You move me with your words. I look forward to buying and reading your novel. Congratulations Leah Marie.